The physical and psychological health of today’s workforce is endangered as workplace stress creates an even higher toll on employees overall well-being. Affecting productivity and driving up voluntary turnover, the phenomenon has cost US employers nearly $200 billion yearly in healthcare coverage. And as a response, several companies come up with their own solution to alleviate the pressing predicament. From encouraging sleep and meditation through nap pods down to healthy snack bars, quirky perks can be found in almost every modern workplace today. Yet amidst all of the clout and other activity going on, we have easily overlooked the fundamental factor that contributes to workplace stress: work environment – starting with the work itself. For years, researchers have advertised the benefits of better work practices for performance and productivity, enumerating two critical contributors to employee engagement: job control and social support. Moreover, it helps further enhance health – potentially reducing healthcare costs. Companies from almost any industry can make use of the aforementioned elements to promote physical and mental well-being without breaking the bank. Research dating back decades have revealed that the autonomy employees have over what they do and how they do it plays a significant role on their physical health. Recent studies have also indicated that having limited job control creates ill effects that extend beyond physiological well-being, it actually imposes burden on a person’s mental health. Organizations can prevent these dangers by creating positions or roles that have more fluidity and autonomy or by eradicating micromanagement. British epidemiologist Michael Marmot and his team lead one of the most notable studies in the area popularly known as the Whitehall Studies. Together, they discovered that the higher an employee’s rank is, the lower their morality is to cardiovascular diseases. As it turns out, differences in job control correlating to job ranks is most accountable for the said phenomenon. Higher-ranked employees who enjoyed more autonomy over their jobs and had more discretion over what they do despite having greater demands. Additional data connected work stress to the presence of metabolic syndromes – clusters of risk factors that predict the likelihood of getting heart diseases and type 2 diabetes. Employees who go through chronic stress at work are more likely to experience metabolic syndromes compared to those who don’t undergo work stress. A separate study have also discovered a correlation between measures of job control and healthy. People who had a higher level of power over task control in reorganization processes had less illness symptoms for 11 out of 12 health indicators, less absences and less experiences of depression. Control over work is just one part of the broad – and growing – culture of autonomy. Architectural and design firm Gensler said in its 2013 Workplace Survey that another form of liberation that creates not just an increased happiness, but as well as elevated employee motivation and performance, is the power of choice over their surroundings. One example of this is Facebook’s headquarters; their employees can tailor the layout, height, and configuration of their desks based on their respective preferences. Teams can also create whatever plan best supports their project by moving their desks. Admittedly this element isn’t easy to achieve but there are ways for companies to offer their employees a wider range of options like providing them with passes to coworking spaces. 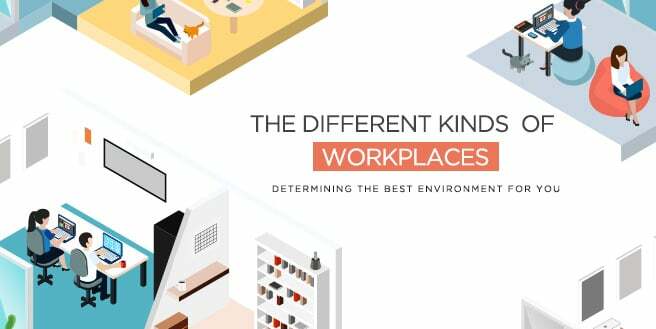 These unorthodox offices offer its member different work environments depending on their needs or personal preferences. It’s a cost-efficient way of giving your team more choices on how they work. They can share desks with other professionals or get a private office of their own. With so much light being put on the health of one’s workforce, we’re easily distracted by what we think is important – forgetting that there are certain essentials needed to be covered first. Talk to us today and we can help you elevate your teams overall well-being through autonomy. Every one of us hopes to be part of a great company and wants to work in a high performing office environment. We all want to be at our best, to be with colleagues that doesn’t just challenge us but also help us grow while doing work that’s both financially rewarding and meaningful. But success is subjective. There’s more than one kind of triumphant organization and more than one type of productive workplaces. What matters most at work is that the values that drive your employers are aligned with the values that motivate you. That the culture that defines the life within the company matches your personal style and that the people whom you work with pushes you to think, grow, and can even make you laugh. Regardless of the industry or career path we’re taking, each one of us should reflect on the kind of environment that works best for us. Do we thrive on the adrenaline rush of competition, or do we prefer a more collaborative nature? Are we craving for individualistic achievements and personal recognition or do we celebrate collective success? Can we sacrifice our emotional and psychological well-being for financial rewards, or is doing something meaningful more important for us? Harvard Business Review’s Bill Taylor tested out some of the world’s most creative, lively, and productive offices from varying fields. In his journey, he identified four types of workplaces and have come up with sixteen that can help professionals figure out what works best for them. Granted there’s no right or wrong answers to these questions; there’s really no perfect place or environment for anyone. But it could help people find the best platform for them to do great work in. This kind of workplace is one that radiates an all-for-one, one-for-all spirit that’s founded by trust, teamwork, and peer-to-peer loyalty. Of course, clients matter but this kind of office elevates the needs of their employees more. Their formula for success starts and ends with what’s right for their people. These are the kinds of organizations who are made up of competitive professionals whose basis of success comes from their personal goals. The ideology is sink-or-swim. And though it seems like quite a rough environment, it works for some organizations such as investment banks and hedge funds as well as law firms and tech titans. In workplaces such as this, individual achievements are what keeps the company afloat. In this kind of environment, workers worry less about their respective happiness or individual success and focus more on the collective impact they create. These workspaces carry a certain modest quality within them – a willingness to make sacrifices and go to extraordinary lengths to keep their promises to both their customers and partners. With a “mission first” spirit, their team does whatever it takes to get the job done. One good example of this is the United Services Automobile Association, the successful financial services exclusively serving both active and retired military members and their families. The organization has become a passion brand, known for its marvelous service, because their employees identify positively with soldiers and their families – putting their interests above their own. More than just another business, USAA stands for a cause. Certain individuals – whether motivated by a sense of mission or a quench for individual achievement – are at their best condition within environments that are easy to navigate, those that have few obstacles standing in between ideas and action, where urgency defines the pace of life. Entrepreneurship guru Bo Burlingham’s business classic Small Giants: Companies That Choose to Be Great Instead of Big captures the spirit of this kind of workplace perfectly, a space where human scale matters more over massive revenue and big market shares. In an ecosystem where smaller and smaller teams can achieve bigger and greater things, size matters – and small packages can bring great things. Nothing else compares to doing work that matters, but it also means finding a company, organization, or team with a workplace that’s right for you; and that’s what coworking spaces aim to be. The growing international movement hopes to give everyone a chance by providing them a wide variety of workspaces that would help them be better professionals and by surrounding them with like-minded colleagues who would bring out the best within themselves. From communal areas that encourage collaboration and help cultivate healthy networks to private offices that guarantee them acoustical focus, coworking spaces is a brilliant modern office that gives you different environments all in one place. Talk to us today and we’ll help you pick out which is best for you and your team! Whenever offices are reorganized, most workers view the process as nothing else but a nuisance interrupting their daily work and for what exactly? They’re not really sure. Design firms and experts have long discussed the benefits of changing up work environments, claiming that when people are able to circulate freely and had more opportunities to engage with different sets of coworkers, they become more communicative, collaborative, and creative. Even world-famous managers believe so too; when Steve Jobs was designing the new headquarters for Pixar, he designated large central bathrooms in the building’s atrium, rendering employees to walk a couple of distances to use them creating unplanned “collisions” that would later on spark innovations. Several studies have backed it up but the financial return rate of such investment had been hard to prove – until recently. A professor at Carnegie Mellon University, Sunkee Lee, came across a “natural experiment” within a large South Korean e-commerce company that was moving into a new office. In their old building, six Merchandising teams tasked with sourcing and marketing flash deals for various products were seated in one area while six other merchandising team sat in another, separated by a common entrance. And though the company wanted both groups to be in one location altogether, space constraints would render nine of them to be in one open area and three in another with a common entrance between them. Both areas are identical in terms of its decoration, lighting, equipment, distance between teams and their respective workstations, as well as proximity to management – there’s no denying that it was pretty similar with those of the old headquarters and employees had no choice where they would sit. Lee looked at over 38, 435 deals done by 60 merchandisers over 200 days – 120 days before the big move and 80 days after – and found that those merchandisers in the area that contained more teams sourced over 25% more deals from new suppliers, on average, than all merchandisers had sourced before the reorganization. The thing was, the deals didn’t come from collaboration, they were a mark of change in the quality of the employees’ work. Lee identifies the change as a shift away from “exploitation” or the repetition of offers to “exploration” – the formulation of new ideas. More importantly, the daily deal revenue of each employee sitting with a previously unknown colleagues was 40% higher, on average, than that of their average prior to the move. The aforementioned increase in creativity and the jump to exploratory ideas was statistically significant for those whose experience sourcing deals within the organization. They were above the median and had no social ties to most of the members of their new workspace. Lee explains that once a person learns enough about the area they specialize in, exposure to new peers would help them enhance their creativity. He adds that physical proximity promotes trust and the exchange of knowledge between new colleagues. In addition to this, the change of surrounding seemed to boost the employees’ performance compared to the other switches the company has made. Moreover, the effect brought upon by the relocation was quick. 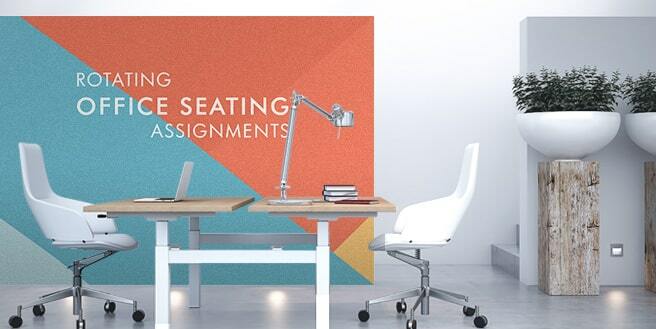 Sunkee Lee’s study is one of the first to use a before-and-after setup to examine how a change in a office seating arrangement affects individual innovation and sales performance. But it became part of a long line of research suggesting that where we seat can do significant effects on how they work together. Another prominent example of this is MIT professor Thomas Allen’s study on communication among engineer in the R&D facility of a multinational company during the 1970s. His finding, popularly known as the Allen curve, shows the dramatic drop in dialogues between employees who sit apart. Though most of the earlier research focused on businesses, the aforementioned phenomenon happens in other arenas too. A 2015 study said that members of the US Senate who will sit in close proximity with one another are likely to support each other’s legislation, regardless of their party affiliations. And though majority of today’s organizations have left closed-door offices behind in exchange for open spaces for communal workspaces, few have gone as far as routinely changing office seating arrangements. Lee still suggests that such interventions is of big help to organizations who live by knowledge sharing and innovation. And in any case you want some help in keeping things fresh, hit us up! Today’s workers and employers have focused the majority of their energy in enhancing their productivity. Several articles and blog sites have discussed “productivity hacks” while some have busted out inspirational Q&A’s with top CEOs and entrepreneurs on how they stay efficient. There’s even apps that guide you through “focused” meditation. But there are limits to what it can do in a place that is chaotic in itself. As a result, designers have utilized the role of smart offices by using employee data to create work environments that enhance productivity. JLL’s Workplace Strategy Practice Managing Director, Ed Nolan, said that the workplace is supposed be the physical manifestation of an organization’s culture and core values. He adds that by thoroughly understanding the correlation of human experience and real estate, companies can create innovative offices that drive productivity, experience and business value. Experts suggest that the following five design elements that covers everything from concentration to wellness are exceedingly detrimental in boosting employee productivity. Facilities that make life easier doesn’t necessarily have to be something as luxurious as a roof top pool. Something as simple as vending machines that carry healthy, energy-boosting snacks can enhance someone’s experience in navigating through their workday. It’s important that organizations make staying in the office more convenient by reducing an employee’s need to go out. Companies with an older labor force can add onsite medical services, while the younger demographics with kids might appreciate onsite childcare better. Giving employees access to free healthy food all day can help them stay flexible as they adjust their mealtimes with their workflow accordingly. The growing global movement of coworking spaces shed light on the advantages of open plan offices. But like the movement itself, the design has its critics – highlighting that the setup has no room for focused work. In order for a company – or serviced office provider – to cater to the different needs of each professional, it’s important to carry a variation of workspaces. There should be enough room for team activities, casual lounges that cultivate collaborations as well as acoustical areas perfect for concentration. The architecture of an office building directly affects its cognitive functioning. Several studies have said that enhanced employee productivity, engagement and satisfaction is only a few of the benefits brought by big windows that allow natural in. Its infrastructure plays a clear role as well. Poor air quality can spread flu and colds. Noise isn’t just any other disturbance; studies from the World Green Building Council says that it can lead to as much as a sixty-six percent productivity drop. Companies should provide options for improving acoustical focus like private offices and phone so booths so that it can help control conference call conversations with the addition of secured privacy. Today’s modern tools – with the help of the Internet – has made our office life significantly easier. The more organizations embed technology into their workplace, the more productive their people became. But execution of effective design elements is the key to a successful collation. If the machine itself isn’t intuitive, employees’ valuable time can be wasted. Honest workplace designs that reflect employees’ needs and concerns boosts engagement and productivity. Professionals put more value in organizations that genuinely show concern about them. Learn more about offices that care and talk to us today! Today’s architects, interior designers, as well as engineers are fully engaged in a journey of discovering the different ways our run-down-the-mill offices increase our overall efficiency while promoting collaboration at the same time. Much to their surprise, they discovered a risk that was often swept under the rug by today’s large majority: distraction. Architectural firm, Gensler, made headlines when its 2013 US Workplace Survey revealed the detrimental role of focus in effective performance. The aforementioned study showed that whenever we are distracted at work, our capacity to focus and collaborate is immediately undermined. As a result, this specific piece of information became the ammunition of critics going against the open plan setting. Only a handful of participants reported at least an hour of heads down, concentrated work during their shifts. Their headline finding led people to wonder how professionals can successfully execute individual focused work in an office that clearly prioritizes collaboration. 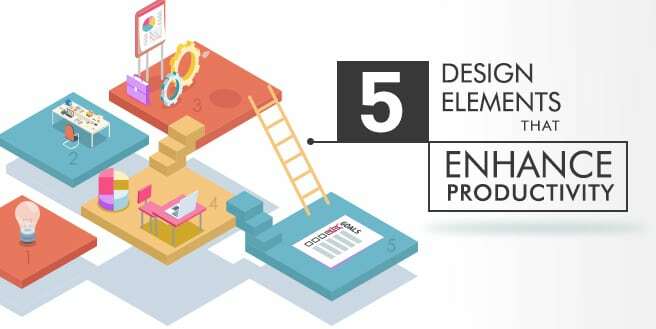 Almost all industries carry complex work that requires a balance of focused individual activities and collaborative task but lead consultants of Genler decided to focus on software developers and engineers whose project require a lot of focus. Developing software is an increasingly collaborative activity — self-organizing teams swiftly move through series of cycles. 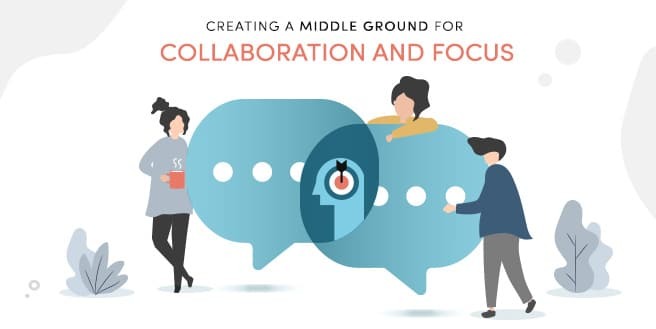 This fluid method of working splits tasks into small increments that would usually take one to four weeks with each one requiring a variation of periods of intense focus and intense collaboration. According to the interviews the team conducted within a global tech firm, it shows that about seventy percent of a developer’s time goes to individual work; some casual and uninterruptible by emails and instant messaging, while tasks like coding, testing, and debugging can only be interrupted at the expense of their productivity. At the same time, sit down conversations and brainstorming sessions are integral to a team’s progress. The competition in today’s tech industry is fierce, with several companies prioritizing speed in marketing its services and products, and that pressure can easily inflame the problems open workspaces usually come with — it can be too loud and distracting for them. Despite of this, we don’t see it going away. The open plan setting is not going away any time soon and this is because of the mobility it offers as well as its cost efficient nature. It became pretty obvious by then; people are doing more and more focused work but they feel ineffective at it. Solving it wouldn’t be as easy though, the organizational demand for collaboration hinders researchers from coming up with solutions as both work modes are attached by the hip. Their eureka moment came when they realized that in order for an office to be effective, it needs to serve both interests. It’s not just about the spaces anymore, how work happens matters as much as where work happens. The participants involved in the research were situated in a brand new “agile” workspace that carries a series of of open team areas with 15 workstations each. And according to the interviews and focus groups, developers and testers said that the setup fitted their team dynamics, culture, and individual work needs, perfectly. They were incredibly satisfied. It allowed them to sit together and interact with one another amidst focused work. Its size and proximity allowed both work modes to become productive. Unfortunately, user experience designers weren’t as enthusiastic. Their tasks required them to collaborate with large numbers of teams yet they have the innate tendency to sit along side each other, resulting to distractions. Episodically conversing with developers and testers, it became a tenuous activity that gave them less autonomy on where and how they worked within the office. And in order to cope, they would often look for more effective acoustic spaces elsewhere. Based on the input they have gathered, it suggests that people can perform well, even in interactive situations, if they have the liberty to utilize workspaces and processes that allowed them to balance both collaborative and focus activities in real time. Gensler’s report entitled “My Work in a We World”, enumerated four strategies in order to perfect the balancing act: choice and control over surroundings, team discipline, united code of behavior, and decision-making autonomy. Each strategy should be tailored to the organisation, the team, and the project. Taking into consideration other factors aside from the setting, it integrates team dynamics, organisational culture, as well as work polices and practices. In order for your people to truly flourish, they must have enough control over both their space and situation. Interested in performing the balancing act? Talk to us today and we’ll give you a helping hand. Sales Rain’s spaces are designed to improve both your team and individual performance by syncing collaboration and focus in one rhythm. There was a time in our life when our idea of learning stuck within the four walls of the classroom and though the adults around us would always tell us for the rest of the duration of our younger years that it doesn’t necessarily end where school stops, it will take us a while to realize that they’re actually right. In our lifetime, there’s a large chance that we would come across people or certain individuals that just love to learn. Acquaintances that would take up another course right after their first ones or workmates who are earnestly working hard to pay for their master’s degree and then there’s that one person whose education doesn’t rely on the traditional method. They’re the ones we call lifelong learners – people who crave for knowledge that they can apply in real life, day by day. They would read books depending on whatever they are going through at the moment with the idea that it would help them come up new solutions to their current problems. They would use today’s technology to learn new things through different courses found both online and offline and they are always out to find more opportunities to grow – these are lifelong learners, individuals with an everlasting yearning for edification. Some are born with this kind of hunger, while there are some that develop it as they engage themselves with new ways to earn knowledge. It may seem extensive to a large majority of us but it’s quite the investment, bringing to the table more than what is being asked from us. Medically speaking, aside from its grey matter, the brain contains muscle – that like any other muscle, needs to be exercised for it to be stronger. But aside from this obvious advantage, it carries with it helping hands in other fields. 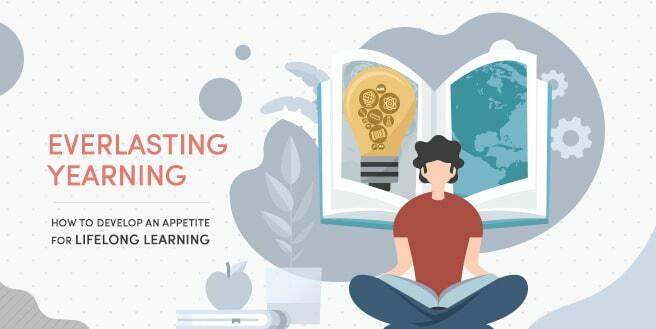 According to a study on the benefits of lifelong learning from the year 2012, the aforementioned habit helps sharpen the mind, increases confidence, enhances interpersonal skills, expands career opportunities as well as impacts that ability to effectively communicate with other individuals. Whenever we learn, we develop our knowledge base – breaking old patterns or routines and resulting to an increased confidence in creating. It rids us of the feeling of complacency and in turn pushes to enhance our skills as well as add more to our metaphorical tool box. In addition to this, it’s also good for our health. Though admittedly, it may not cure critical diseases like Alzheimer’s, it still helps in slowing down its progression. Something as small as reading for a short period of time everyday can also alleviate stress levels. But in order to become a student of life, you must train your brain to have a constant yearning for new things to learn. Whenever we kick start a new habit and easily notice changes, the more we are prone to doing it again and again. So in order for our brains to have an everlasting yearning for learning, we must train it. Start by creating an objective for your learning. Say for example, your objective maybe to develop a new skill or to reduce your stress levels. After doing so, start small by setting up a 15-minute read two to three times per week – this method is applicable for those who aren’t naturally keen on learning. It helps to break down information into bite sized pieces so they won’t have a hard time sticking to the habit. And lastly, make it fun. Learning doesn’t have to be a chore, you have every opportunity to make it more engaging like turning it into a game. The world can be your greatest teacher – and not just academically speaking. When you stick by the right group of people, they can educate you on different fields, including life itself. And if you’re looking for a community filled to the brim with students of life, look no further. Just talk to us today and we’ll introduce you to them! A large majority of us keep a list of things that needs to be accomplished during a work day. At certain days, our to-do lists grow longer and longer almost as if tasks won’t stop piling up. When other projects linger unfinished for quite some time, we can’t help but feel ashamed of the accumulating stockpile of work in our desk. We often feel guilt and its close relative shame when we’ve done something wrong. 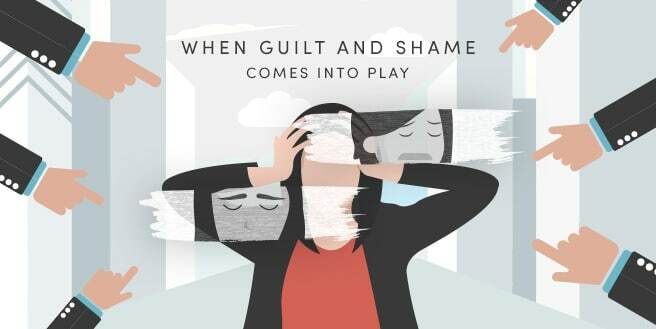 Guilt is an internal feeling we have on something that we committed, while shame involves feeling like a bad guy, in the context of what the public views as bad behavior. It’s a common scenario found in different industries but the main question is, are both feelings helpful? It depends. For us to know how the aforementioned emotions affect an individual’s work behavior, it’s important that we truly understand its nature – its root causes as well as its differences. Despite of its perceived similarity, guilt and shame arise from different attributions and elicits different responses. Shame arises when an individual regards the root cause of their failures to something unchangeable. All the while, guilt is what comes when an individual regards the reason for their failure as something changeable. Both emotions relate to different aspects of agency and control. When we experience guilt, we resort to focusing on what we could’ve done differently or what we could do to be better in the future but when we feel shame, we direct our attention to how finer things would be if we were a different person. Say for example, a freelancer overlooked a deadline and fails to submit the collaterals he/she has been making for a client on time. If the freelancer correlates this misdeed to his/her behavior, she is likely to experience guilt but if the person attributes it to something core in themselves, he/she would feel shame – a much more devastating emotional experience than guilt for it promotes constructive responses to our mistakes. Both emotions have its pros and cons. For example, guilt can be motivating. It has the power to increase one’s propensity to cooperate. In most cases, it will drive employees to work on tasks that have been stalled for quite a while. At its lowest, it doesn’t create much interference in completing projects but the guilt produced by the inability to work under conditions that are beyond one’s control can be painful. Shame, on the other hand, relays a different story. It can be problematic in a sense that it prompts individuals to engross in habits that minimize contriteness and are unproductive to the organization. In fact, there are studies providing evidence that people will explicitly procrastinate to avoid shame. Realistically speaking, it’s almost never helpful. Carrying the same amount of advantages and disadvantages, both can either be a liability or an asset. So how do we avoid the negative effects of guilt and shame? We need to put a stop to rumination – the process of having repetitive thoughts about something anxiety-provoking – so that it would be less painful for us. Being kind to oneself helps alleviate the negative effects of guilt and shame. We must be willing to forgive ourselves for the mistakes we’ve made. A large majority of us would tell our friends who are in the same situation to “give themselves a break”, so we must be able to give ourselves the same advice. According Gabriele Oettingen’s Rethinking Positive Thinking: Inside the New Science of Motivation, focusing on the space between what you have accomplished and what you want to achieve leads to feelings of dissatisfaction. Admittedly, that same energy can motivate an individual to act but when they are unable to do so, focusing on what you have achieved can give you a sense of pride. One of the many outcomes of mindfulness technique is acceptance of one’s situation. This perspective is also useful when we are trying to overcome feelings of guilt. During these moments, it’s important for us to remember that no matter how bad we feel, it won’t help get rid some of the work that needs to be done. With the innate tradition of needing to look “busy” to be labeled as “productive”, feeling guilty is simply unavoidable. This type of culture greatly contributed to our anxious tendencies and the longer it stays, the harder it is for us to diminish this toxic habit. Luckily, today’s young professionals are implementing progressive changes in the hope of relieving their peers by starting in the root of it all – the workplace. With the help of shared offices like coworking spaces that encourages well deserved breaks and reflective downtimes, freelancers and budding entrepreneurs are welcomed to a fresh culture – one that doesn’t berate you for being ‘unproductive’. Its supportive community of like-minded individuals are constantly reminding us that it’s okay to have some slow Mondays, the greater audience agreeing in unison. If you’ve been feeling down lately, hit us up and maybe we can cheer you up! Known as the ability to resist short-term temptations in order to meet long-term goals, Willpower is often seen as the secret to success. A large majority of the public believes that with more self-control, they can easily improve their lives. It allows people to make better decisions and stick with them until they’ve achieved their goals. With its help, we delay gratification – a hardwired need for us humans. With research and first-hand experience backing it up, it comes as no surprise that we believe it’s the secret ingredient to success. But the question is, in this modern time, is it still an important element to reaching our goals? During ancient times, our kind relied on natural instincts to survive. But as civilization evolved, our ancestors wanted to put things in order. Rules were created to be followed and only by following them will a person get what they want, and survive modern society. Because of this, we made self-discipline a virtue. During the late 1960s and early 1970s, a marshmallow experiment made us believe that it leads to success. Lead by psychologist Walter Mischel, the Stanford marshmallow experiment was a series of studies conducted on delayed gratification. It was simple but it revealed a lot about what willpower can do. Children who participated in the aforementioned experiment were given a choice between immediately being able to eat one piece of marshmallow and waiting for twenty minutes to eat two marshmallows. Results showed that those who were able to wait fared better in life than those who took the easy route. It pioneered the studies on willpower and experts began to put more emphasis on its benefits. Nowadays, it’s fair to say that it controls a lot of what we do for we see it as a detrimental factor in reaching our goals. Trainings on developing better willpower became big business as well as countless workshops and seminars. Despite of the hype it gained, it carries a series of limitations that not a lot of people know about. Willpower is similar to a muscle – when overused, it gets tired. The fact remains that it still has its limits and on top of this, other factors such as emotional state, physical well-being, and our own tendencies of reflecting our past mistakes hinders us from making the most out of it. Yet despite of its restraint, there’s a way for us to easily navigate ourselves around it. The realization that willpower has its limitations is the first key to succeeding with limited drive. After doing so, one must create a system that will support them in reaching their goals and drams. Without a personal success system, it defeats the purpose of determination. Take some time to reflect what truly makes you happy – it’s important that we know what motivates us so that when the time comes and our willpower falters during our darkest days, we can easily retreat to simple things that make us happy to uplift us and motivate us once again. 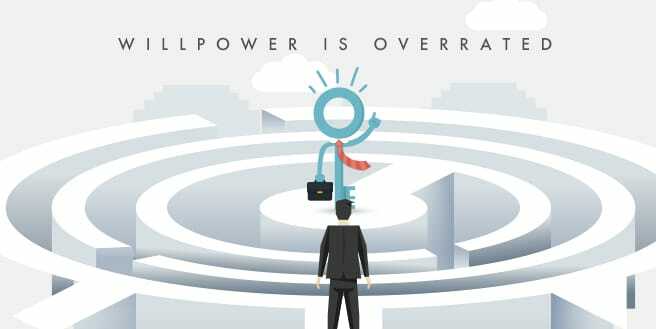 Willpower on its own doesn’t place any emphasis on what needs to be changed in your environment, but instead, puts its focus on overcoming its disadvantages. So it comes as no surprise that the moment it fails us, we succumb to environmental influences no matter how much we resist them. As humans, we are influenced by our surroundings – consciously or not. From what we see in the news, the stories we hear from our friends and even our homes as well as workplaces. So for us to have a smooth journey towards success, we must create an environment that actually helps us in reaching our goals. For one, if you want to concentrate better, move to a much more secluded room. Other than that, it can also directly support your career. A perfect example is by joining coworking spaces and experience being a part of a community of like-minded professionals. Several freelancers and digital nomads alike flock these shared offices for its sustainable work environment. Its wide range of work areas allows them to choose where they want to work and when to work. Moreover, its great community of members allows them to learn new things and gives them the opportunity to further expand their network – supporting the goals of its members. It’s high time that we face the facts: “willpower is not the be all and end all” of our careers. Though it remains as a basic component of success, having a system that can back you up the moment it fails you is also important. Talk to us today and we’ll help you build the system you need to reach your dream. If we tell our colleagues that if we are unhappy with our current job, we should quit. And though we admit just how badly we want to walk away, the idea actually terrifies us. The act elicits deeply rooted fears and anxieties within us. So instead of facing them, we cozy up back to our comfort zones – no matter how unhappy we actually are. This is the belief we grew accustomed to, shaping us to think that we shouldn’t stop while we’re ahead – we need to keep on moving forward. The negative impact it can create to our personal life coaxes us in the idea of staying stagnant. And in return, our brains would coerce us that this is what we want. When in reality, we’re just here for the sake of avoiding change. Internal factors such as what our loved ones would say and financial insecurities would fog our view of the opportunities quitting can open, chances of growing and improving ourselves that contributes to our personal happiness. Coauthor of the motivational book Just Start: Take Action, Embrace Uncertainty, Create the Future and preside of Babson College, Leonard Schlesinger, said that a large majority of us are paralyzed by our unhappiness with our current reality. This same paralysis stops us from taking that leap and keeps us glued to various mundane job. Tech entrepreneur, Daniel Gulati believes that most of us stay too long in professions we hate because the corporate world is geared in keeping people in roles without really considering whether or not an individual matches his or her position. Simply put, the world doesn’t give us enough freedom to grow and create situations that allows us to thrive and move forward. So you’ve followed all the advice you’ve read from several motivational books but the feeling’s still the same. You still feel stuck and you’re not even really sure why. If everything still feels the same, chances are it’s because you’re still resisting quitting. Even if it’s pretty obvious that things aren’t working for you anymore, you continue the same routine every day, refusing to prepare for the change walking away could bring. We’d probably defend ourselves by saying that we’re not really sure what we want right now but this ideology hinders us from discovering the right career for ourselves by just sitting around and thinking about it. If something isn’t working, get up and gather the courage to do something about it. The second we pick ourselves up and put ourselves into this kind of headspace, true breakthroughs will happen. People who refuse to acknowledge their unhappy situations and continue to do the same thing day in and day out without ever finding real meaning in what they do, will never flourish – no matter how hard they work. 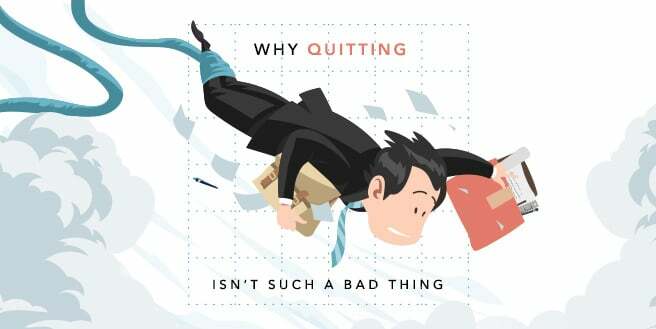 The fact remains, quitting carries a negative connotation – that is, when it means fleeing away from challenges and responsibilities – but in certain cases, it’s a necessary step towards the path of success. It all boils down to acceptance rather than fear. Sometimes, it becomes exactly what we need in order for us to know what’s best for us – something that will be hard to find when doing the same thing over and over again. Don’t view quitting as a sign of failure, see it as a chance to find what you’re really set out to do in this world. Statistically speaking, a large majority of today’s labor force are walking away from their 9-to-5 work and corporate roles to join the growing population of digital nomads – freelancers and remote workers cooped up in coworking spaces pursuing their dream jobs. These communities typically found within shared offices encourage young professionals to be brave, to not fear quitting and follow the path less traveled. Its true magic reveals itself in the sense of urgency that follows, the same feeling that opens up a space for you to find what really matters. Changing one’s perception isn’t easy, and that’s the truth. But ask yourself what truly makes you happy. What’s the one thing you can’t stop thinking about? Deep down, we know what would really make us happy but fear is the only thing that’s stopping us from achieving this. Quitting is necessary when something no longer makes us happy or pushes us to grow. View it as a chance to win at life and in any case that you still need some help, talk to us today. Over the recent years, the need for creativity in several jobs have increased. No matter the industry or task – whether you are trying to pacify conflicting stakeholder priorities, looking for solutions to a client’s complaints, or launching a new product, your answers won’t probably be found in textbooks or academic papers. But the thing is, it’s not easy to generate diverse ideas day by day. Chances are, creative blocks come in the way or worse, we actually run out of them. So what do we do once this happens? How do we move forward when our mind have seemingly hit a wall? Mindfulness meditation have become an increasingly popular solution to curing mental blocks. 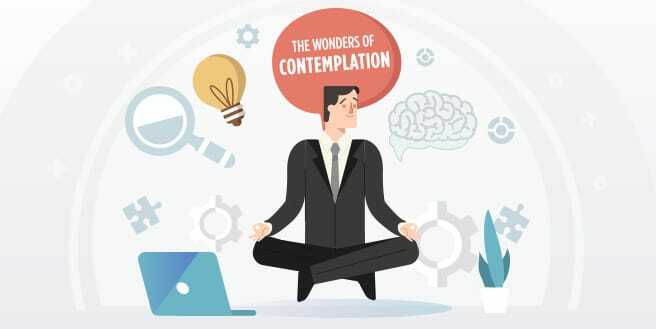 Not only are researchers advertising its benefit but even leading firms such as Google, Goldman Sachs, and Medtronic are introducing this method of contemplation, as well as other mindfulness practices to their employees. Their executives and those from other organizations are saying that not only is it useful for stress-reduction, but it can also enhance creativity, opening a door in the wall blocking us from going forward. But encouraging such acts would take a lot of convincing. These unorthodox ways of increasing productivity is often frowned upon, so in order to open up one’s mind to this approach, it’s important to gain a deeper understanding of its affectivity. Administrators who gave contemplation a try, said that it actually helps them switch gears when things are becoming too stressful. In addition to this, there’s a large number of existing literature on the other benefits that it brings to the workplace. If one is to do it regularly, it can boost their resilience – allowing them to mitigate stress, regulate emotions, and develop a much more positive outlook. Moreover, it helps them switch off their innate reactive fight-or-flight response and engage in a more thoughtful mode needed in making balanced decisions. Danny Penman argues in his book, Mindfulness for Creativity, that meditation and other similar practices amplify three essential skills for creative problem solving. First, mindfulness that switches on divergent thinking, opening our minds to new ideas. Second, it improves attention and makes registering ideas much easier. Lastly, it nurtures courage and pliancy against skepticism and other setbacks – a quality much needed for various innovation processes. To further strengthen the claims that creativity is one of its first benefits, an experiment was conducted at the Erasmus University of Rotterdam, Netherlands. One hundred twenty-nine students participated in the test to see whether a minimum of ten minute meditation would be sufficient to boost creativity. The results showed that the short contemplation activities given to them rendered the participants in a more positive and relaxed frame of mind. Moreover, it decreased the participants’ feelings of restlessness by at least twenty-three percent, nervousness by seventeen percent, and irritation by twenty-four percent. Google’s Mindfulness Program Advisor, Mirabai Bush, said in a conference that the activity will make your life work better and your work life better – a win-win situation. At the end of the day, the only way you’ll find out whether or not meditation and contemplation works for you, is for you to actually try it yourself. You can download apps such as Headspace, Calm, or Buddhify. You can also try following instructions from short courses that can be found online. And for us to actually experience it to the fullest, it’s important that our work environments would provide us with enough freedom to do it. Traditional offices would usually disapprove of such activities but the growing presence of coworking spaces are giving today’s professionals room for mindfulness activities. The global phenomenon of shared spaces allows its members full autonomy of their workday and provides them with a wide variety of work areas that they can use any time they please. So in case you want to give ten minute meditations a try, you can easily pick a quiet area for a quick break. Better ideas and a better mood can easily be achieved in approximately just about the same time that it takes for you to enjoy a cup of coffee. And if you want to give it a try, we can introduce you to a working environment that encourages mindfulness.